The third of the Beni-Israel (the first two being Isaac Solomon and Joel Samuel) who visited the Holy Land (1894); he was accompanied on the pilgrimage by his wife. 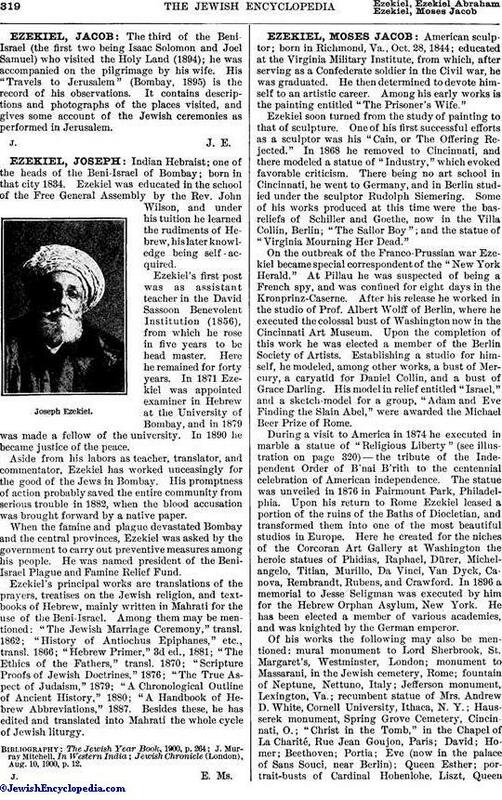 His "Travels to Jerusalem" (Bombay, 1895) is the record of his observations. It contains descriptions and photographs of the places visited, and gives some account of the Jewish ceremonies as performed in Jerusalem.